Loved the place and very clean! I recently rented and moved my belongings into the facility. The facility is very clean, secure, and nicely maintained and the staff has been nothing but courteous, prompt, and professional. Being just a little off of the freeway made this place easy to access as well. Very glad I rented here! The staff is friendly and very helpful. The storage units is clean and I would recommend this company to friends and family! Thank you! Good customer services over there! Nice place to store my stuff and safe storages . What an awesome experience at a time when Customer Service is illusive. We set up our rental arrangement with Edgar, one of the managers. He was friendly, good natured and knowledgeable. Very thorough and took good care of business. 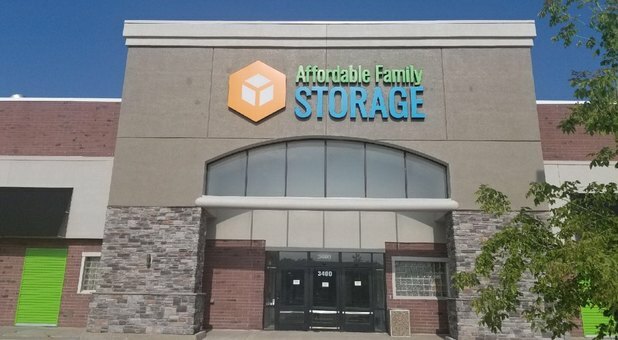 I would and will recommend this facility to anyone who may be in need of additional storage space. I would reccomend them as this is the second time we have used them and they have been very helpful and friendly. Over priced. All they want is your money in their pocket. Theresa has great customer service. We recently went thru a flood and are loosing out house thru a buyout. I originally was in certain about storing our stuff, but Theresa help ease my mind with my choice of 2 units and made sure to place them together for easy loading and access. Thanks too for the first freeonth at a time like this it's another thing I don't have to worry about this month. Had a unit available in my time of need for a reasonable price. Would definitely use them again. Super friendly. Super convenient. Very accommodating. Love that it is all temperature controlled. My moving guys liked that there was a place to back truck up to so didn't have to use their ramps. Thanks for having large carts available so don't have to carry things. Nice and clean. Would like more hours to use the storage at night if it could be open till midnight. From the customer service to the cleanliness. I love the secure, climate controlled building. Great prices. Convientant. Great customer service. Clean. Very secure. Very impressed with customer service. I was contacted shortly after putting in my online reservations with fantastic customer service. Very clean. They provide carts & several doors to access your unit. Offered a great move in special. I rented a unit at this facility the other day and I was very impressed with how clean and well maintained this storage place is. The customer service from Maribelle was impeccable, she was so great I tried to get her to come work for my office. Will definitely recommend. This is the best storage facility I have ever seen. Clean, new looking & feels safe. Mike was amazing and stayed after his shift to get me set up on a Saturday afternoon. I didn't realize the office closed at 2:00 pm. the staff are very friendly and great. very helpful. loved getting the one month for free and the lock that is very helpful. I was very impressed with this facility from my first introduction on the phone. I reserved a unit online. moved my furniture from California Des Moines, and unloaded the furniture in our unit with no issues. I highly recommend this facility! Affordable! As it says in the name! Great customer service! Exceptional facility!! Yes I would recommend this facility to all my friends. I called to check on a storage unit and got an answer, right away. I was given plenty of information, as far as what I was looking for and the was satisfied with the pricing. The unit and facility is clean, and was able to me them to get a unit right away as I needed, even though the office wasnt open. They have easy access, and good security. I would recommend this storage facility to all my friends. Clean and reasonable price. Savannah was a great help.